This guest post has been shared with us by Caylin from Forest Schooled. This excellent website runs weekly posts linking Forest School experiences with research on education, child development, and general human nature. Over to Forest Schooled …. Recently I started to question whether providing fun and educational outdoor experiences for kids was enough. Of course taking them outside is incredibly important for a variety of reasons, but when it comes to learning I felt like there was more to it. After an encounter I had with a 9 year old boy named Samuel I became inspired to look a little deeper. Samuel was constantly getting into trouble for the same behaviour which he exhibited day after day at the after school club I worked at. The adults in the setting consistently resorted to a rewards/punishments system of managing behaviour, but it was clear to all of us that it wasn’t changing anything. One day Samuel was given the ‘punishment’ of helping me tidy up after everyone had their snack and the one-to-one time gave me the opportunity to have a conversation with him. I wanted to take advantage of this time to get to know him and and perhaps gain a better understanding of his behaviour. By asking questions that got Samuel to think more about the motivations and feelings surrounding his behaviour, I unintentionally facilitated a process of reflection. The result was that Samuel felt empowered to make positive choices about his own behaviour in the future and, when he did at a later date, he felt better about himself for not getting into trouble as much. That conversation with Samuel made me realise how powerful reflection can be as a tool for learning. However, what I couldn’t quite grasp was how to effectively facilitate reflection for others in future situations. We all, as individuals, have our own methods for reflecting, whether consciously or subconsciously, on our own personal experiences, but facilitating it for others is much more tricky. I wanted to learn more about it all so I decided to do some research. I conducted a survey asking for contributions from other Forest School leaders, teachers, parents, and anyone with any knowledge on the subject about it. I also attended a course with Dr. Roger Greenaway who has put a phenomenal amount of work into promoting and creating tools for reflection (what he calls reviewing) in education (see www.reviewing.co.uk). It took a few months to gather the information together, but the result of all that research became a 30 page guide called A Practical Guide for Forest School Leaders (or anyone, really!) to facilitating reflection in the outdoors. Sign a song or say a rhyme together that sums up what has occurred (or will occur) during the session. The forest has lots of things inside. Give your group a prompt and ask them to look for objects that symbolise or represent their response to it. You could do this whilst walking from one place to another or just give everyone time to go explore and look for things. Once everyone has an object, you meet back together and each person presents their object and explains why they chose it. If you want to learn more about reflection and how to facilitate it, including more activities like the ones shared above, you can download a PDF copy (FREE) or purchase a printed version (£5) of A Practical Guide for Forest School Leaders (or anyone, really!) to facilitating reflection in the outdoors at www.forestschooled.com/resources. If you feel like you could benefit by doing more than just reading through a 30 page PDF, the printed version of the guide includes an extra 7 Day Reflection Challenge to help make your learning more hands on. The challenge gets you practising reflection by utilising some of the advice and methods given in the guide. The goal is that by practising these techniques on ourselves, we’ll become better at facilitating them for others. I hope the information shared in this blog and in the guide inspires you to find creative and meaningful ways to encourage reflection in those you work with. I know it’s certainly helped add a whole new dimension to my own outdoor adventures! Forest Schooled is a blog that explores themes and topics associated with the educational approach of Forest School. Weekly posts link stories about Forest School experiences with research on education, child development, and general human nature. The premise is that while we’re busy ‘teaching’ children, they are just as busy teaching us. If we take a moment to stop, notice, and reflect we can discover a lot more about ourselves and the world we live in – that’s what it means to get ‘Forest Schooled’. Author CatherinePosted on April 12, 2017 Categories Forest Play, Forest Schools, Outdoor Play, Schools and GroupsTags forest schools, outdoor learningLeave a comment on Are outdoor experiences enough? This guest post has been shared with us by Faye from Forest School Villagers, one of our subscribers to the The Outdoor Year calendar. Her Forest School embraced Step in a Puddle and Splash Your Friends Day on 11th January with a ‘Big Splash’ ! Step in a puddle and splash your friends day; what a great idea! From muscle development to dealing with emotions! Let’s have a look at the amazing things a puddle can do! Boost stamina and strength; Often, children have natural desires to ‘jump’ in a puddle, resulting in muscle use by pushing themselves up off the floor to make a big splash, what a way to build up stamina! Build resilience; Children have no fear. All that fun splashing around makes a possible slip or a trip worthwhile risking, providing with valuable opportunity to brush off, get back up again, learning how to develop control of their bodies the whole time! Teach science; Puddles turn to ice! It can change its state of matter! A fun, engaging activity and learning opportunity for children of all ages! Promote an active lifestyle; Jumping, hopping splashing, circling… this must get the heart rate going, increase oxygen intake, muscle building… regular visits outside to play and learn from puddles could empower children to lead a healthy and active lifestyle! Develop friendships; Team work, problem solving, turn taking, this comes with disagreements, wanting to splash in the same puddles with not enough room, all empowering children to …. Develop their emotions; Experiencing these, children will feel happy, joyful, surprised, kind along with feelings like frustration at times, this all supports their emotional development and skills such as negotiation. Be a platform for role play; From being water (soup) for children to scoop up with pans to cook in the mud kitchen to becoming a castles moat while children be kings and queens, endless opportunities for children to develop their imagination which means a puddle can also …. It is certain that a puddle is entitled to be recognised as a play and learning tool amongst other things! 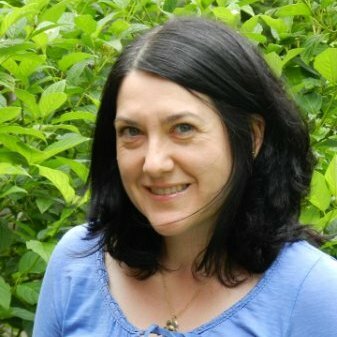 Faye has over 12 years experience working with children in a range of settings including a day nursery, primary school, playgroup, play scheme and currently teaches in FE and delivers forest school programme. Outdoor Learning & Play – Why bother? Do you remember the time you really wanted to get outside with your class or group of children and the sky darkened? Chances are you mentally pictured a bunch of wet kids (and hours down the road a bunch of annoyed parents) and did u turn and switched to some more covered or indoor activity. As a parent 12 years ago, I found that really frustrating. Surely the benefits outweighed the down side of my children getting a bit wet and a bit muddy? I spoke to parents, I looked on forums online I asked everybody I knew if they could see the benefits of learning and playing outside for children. I created massive lists to convince people to let my children and everybody’s children be outside, year round. It’s not about enthusiasm for outdoor learning and play it’s about the right tools for the job. The why is not the problem. It came down to the how. Most teachers deeply value outdoor activity, learning or play but are just not equipped properly to deliver on it. I owed the world an apology. Time to change focus. That’s when 12 years ago I stopped the why preaching and began to focus on the how to make it happen practically for enthusiastic schools, forest schools, groups and classes. what clothes are strong enough to survive in schools? what’s better – all in one suits or 2 pieces or bib and brace? should I invest in waterproofs which are also breathable and windproof? is it false economy to buy a cheaper waterproof suit in order to kit out the entire year group? With the right tools anything is possible. Author CatherinePosted on January 10, 2017 January 11, 2017 Categories Forest Schools, Learning, Outdoor Play, Schools and GroupsLeave a comment on Outdoor Learning & Play – Why bother? For schools or educational groups the critical side of service delivery is making sure you work with reliable, consistent and quality focused suppliers. It’s the hidden side of what you do. Like life, most of the heroes stay in the back ground. If you’re involved with making sure the right tools, equipment or clothing are in place you’ll know exactly what I’m talking about – you get thanked and then forgotten. And you know what? Getting forgotten is a good thing – it means you did a good job, the right job that needed doing, not a job that has to be done again in 6 months. In real life finding the heroes to walk the (wet and muddy) path with you is always a challenge. 2 brands stick out for us as heroes; the UK based Togz brand of children’s outdoor clothing and Mikk-line a Danish brand of children’s outdoor clothing. They should both be of special interest to teachers and project leaders (and all the unsung heroes) because they specifically make children’s outdoor clothing. They don’t do adult ranges. This means that the clothes are cut specifically for kids with features unique to children’s needs. They’re not cut down versions of adult styles. To labour a point – they work for kids. We began stocking Togz waterproofs back in 2008. Being so robust, the all-in-one’s are perfect for muddy play. The Teflon coating repels the dirt so it’s easy to wash away and the attention to detail gives great fit. We came to love Togz clothing after listening to what was happening in several schools. Many schools approached us with the same story – the clothing they’d purchased was not up to the school job. They felt they had wasted money in the past and were now prepared to spend a little more on a longer term solution. The Togz All-in-One suit proved to be massively popular because it is keenly priced and hard wearing. Because the suit comes in 3 colourways we were able to offer a colour per size. This means the children always know what colour suit they wear! Really helpful for teachers. Our relationship with Togz took off from there – 2 partners solving a problem. Teachers rarely need to replace these outdoor suits and clothes, it’s mostly about providing extra sets for new children joining the school or group. Although we work mostly with schools and groups directly it would be daft not to mention that both Mikk-line and Togz outdoor clothes work well outside of school too. The Warm & Dry Suits are popular for winter and are often purchased for skiing holidays as a snowsuit for toddlers. The Warm & Dry Jacket makes an excellent school coat and the Mikk-line Rain Suit is perfect for rainy family days out and festivals. We’ve been stocking Mikk-line for around 6 years now. The practicality of the Mikk-line clothes grabs you immediately. They reminded me of my brother teaching in a very wet November Helsinki, 19 years ago. The children were snug and happy outdoors despite the cold and wet. The contrast of their bright and fun colours to my memory of our dark and sombre waterproofs in the UK was stunning. So advanced, so long ago. When Louise from Mikk-line contacted me I knew that this was a range of products that would work perfectly for the UK schools market – our tests confirmed this. This is a diverse brand with a pedigree of harsh climate practicality. If it works in Denmark it’ll work here. Adventure Togs are passionate about what they do and Mikk-Line are proud to support them. This belief in a healthy childhood that Adventure Togs and Togz clothing both stand for is what keeps us moving forward. If you want to find out how Adventure Togs can support your school, forest school or group get in touch with Catherine Graham. Catherine Graham is the director of Adventure Togs. She was a health care professional for over 20 years and has a Forest Schools Level 1 qualification. As a mother she struggled to get the best out of outdoor learning and play because most children’s outdoor clothing just wasn’t up to the job. Adventure Togs from Port Talbot, South Wales, make it easy for schools, and groups to find the right sort of clothing for children to learn and play in. Children love playing and exploring outdoors and rarely let anything spoil their fun. When it rains, puddles become prime jumping spots, while in the snow there are entire families of snowfolk waiting to be built. Scandinavia, school children in Forest Schools are encouraged to play outside every day, no matter the weather. when choosing the right waterproof clothing for your child. items of clothing. They are also more cost-effective and available in a range of fabrics. All-in-one waterproofs are often preferred for younger children over a combination of jacket and trousers. preventing water from getting in through the stitching. clothing is non-breathable, active kids can become hot and sweaty. waterproof material is essential. For longer periods in cold, wet weather, a suit that is both waterproof and windproof will help to keep your child warm. Look out for Teflon-coated fabrics, such as Togz kids waterproof suits which do not allow mud and dirt to penetrate the fabric. your child could still get wet if the zips aren’t watertight. Look out for suits and jackets with storm flaps which provide a waterproof cover. sleeves or wind blowing up hems. backpack, when rain is forecast later in the day! Will your kids want to wear it? Choose a suit in bright and fun colours, made from a soft and comfortable fabric so your kids will be happy to wear it. Reflective safety strips are also important! Kids Waterproofs – What Features Should I Look For? Adventure Togs range of kids waterproofs are perfect for keeping kids dry on wet and windy days. We stock a wide range of quality kids waterproof clothing which are windproof and breathable as well as waterproof. Children love to play outdoors regardless of the weather and usually don’t mind getting muddy! Parents often worry about keeping them warm and dry and want quality waterproof clothing to protect kids and keep them cosy when playing outdoors. Our range of outdoor gear comprises of waterproof all-in-one suits, jackets and over-trousers and matching waterproof clothing accessories. We also stock several brands of 2 piece waterproof suits which provide excellent value for parents and teachers when purchasing for outdoor learning and Forest Schools. Fully waterproof garments with sealed or taped seams to prevent water seeping in. Windproof and breathable (to prevent build up of moisture when kids are running around). No air gaps around the waistline – ensure jackets do not ride up when the child bends over. An all-in-one waterproof suit is perfect as an head to toe kids waterproof. Easy on/off – we want our children to be responsible for dressing themselves so the waterproof clothing needs to be easy to put on and remove without the help of an adult. Reflective strips or pattern – Provides high visibility and therefore safety. Choose lightweight, soft, comfortable fabrics so children can move around freely and play in comfort. Stirrup straps or ankle adjustment so that waterproof trousers don’t ride up the leg. A well fitted hood will not blow down in the wind and keep the ears and head warm and dry. Kids waterproofs should be colourful and fun for kids to wear. Author CatherinePosted on November 4, 2015 November 10, 2016 Categories Product Advice, Schools and GroupsLeave a comment on Kids Waterproofs – What Features Should I Look For? As he worked a patch of lower ground slowly filled up to form a lovely big muddy puddle around his feet and once the spell of the hose was broken there was lots of lovely muddy puddle splashing too. I have to admit I did feel a tad guilty about the amount of water little man used during his play but he was getting so much out of it I couldn’t stop him. Leila writes a personal, nature inspired blog at Mud Marvellous Mud. She is passionate about connecting children to nature and writes about her son’s experiences as they explore together. She is trained to Forest Schools and Beach Schools level 3 and is currently studying for an Open University Open Degree. Easter is the perfect time to celebrate the joys of spring and wherever kids are involved boundless energy and enthusiasm for chocolate eggs follows. I’m sure my boys could quite happily consume their own body weight in chocolate over Easter (so could I for that matter!). So here are 5 Outdoor Easter Games that should keep them (and you) busy, and might, just might hold off those chocolate pangs until after they have filled up on a yummy Easter Sunday dinner. Get messy with some flying eggs. You will need at least two teams of two to play this game. Try pitching the kids against the adults or pull names out of a hat for some random family pairings. Beware though, this one is messy and changes of clothes may be required! Start off with both pairs standing fairly close to each other. Each team starts of with a box of six eggs. Once each pair is ready they start throwing the eggs towards each other. After each successful throw they take a step back. The aim is to get as far away from each other without breaking the egg. Once an egg breaks the team takes another from their six and starts from the same position they left off. The first team to break all their eggs is the loser and the remaining team, who are probably slightly less messy than the losers, usually wins themselves some more chocolate eggs, although you could be a little more adventurous and maybe offer them the chance to egg the other competitors with the eggs they have left over. It probably depends on how messy you really want to get! Have a go at the good old Easter Egg hunt. These usually require a little bit of preplanning but lets face it, who doesn’t love hunting for treasure in the shape of chocolate. Check out our post Easter Egg Hunt Ideas for some alternatives to the traditional style hunt. Set up an egg and spoon obstacle race. Make this old favourite slightly more interesting by putting a set of obstacles in the way of the competitors. Hard boiled eggs are often used for these races but spice things up a little and use raw eggs. Again, it could get mucky but hey, it’s bound to be fun! Have a go at egg rolling races. There are several ways to set this one up. You can use a straight course, give each competitor and spoon and see who can roll their egg to the end the fastest without breaking it. You could create a twisty obstacle course the competitors have to roll their eggs around or you could sack off the spoons and get each competitor to roll their eggs with their noses. This last one has to be the funniest option but also much trickier than you might think. Run around like hens and chickens! This game is a bit like the popular kids game ‘It’. One person starts off as the Hen, everyone else is chicks. The Hen is placed in the middle of the ‘road’ and the chicks at either end. As the chicks try to make it to the other side the Hen must try to gather up her chicks and keep them safe by catching them. Each one that is caught then has to help their mother Hen catch the rest. This is a brilliant one for letting of some steam after some of the more difficult games and what kid doesn’t love running around like a loopy chicken anyway. Do you have any favourite Easter games you like to play? We would love to hear about them. Our favourite outdoor play post from the past week is The Magic of the Secret Beach from the lovely Coombe Mill. The secret beach does sound absolutely magical and holds lots of lovely family memories for her and her children. Do you have a special spot that has stolen your families heart? March has arrived and with it we are seeing lots of lovely signs of spring, getting us all excited about the year ahead. There is just something about the new life in spring that gets us all motivated and looking forward to the sunshine. The warmer lighter mornings are a sign in themselves that spring is nearly here making those horrid early morning starts just that tiny bit easier. Of course it isn’t all sunshine in spring time, rain is often a common feature at this time of year but without the wet stuff all the lovely flowers, fresh grass and new buds that we love about spring wouldn’t happen. Celebrate the rain this spring with our 10 ways to play in the rain. One of the first signs we have spotted this year is the pretty little snowdrop, peaking through the ground even in some of the worse weather we have had recently. I don’t know about you, but they remind us of fairy hats and conjure up all sorts of images of spring fairies frolicking about amongst the spring blossom. We haven’t heard them yet but soon enough the air will be filled with the warm fuzzy buzz of bumble bees, taking full advantage of the early nectar. Queen bees will be out looking for new nests with the buff-tailed bumblebee being one of the first to emerge. I do love standing in the garden on a warm spring morning just listening as their hum is carried along the wind. Another wonderful sound to hear in spring time is the new burst of birdsong that happens as male birds start to sing for their mates, searching out females to bring up new broods with in just a few weeks time. Probably one of the most iconic signs of spring is the appearance of newborn lambs in fields across the country. These little cuties remind us all that this really is the time of year that brings about an abundance of new growth. Why not grab your family and head on out around the fields seeing how many you can spot. As the season moves on you will see more and more appear and watching their unsteady antics is sure to make you all go ‘Awwww’. A lesser known sign of spring is the sight of oil beetles. These little creepy crawlies are becoming quite rare in the UK and have a fascinating lifecycle that relies on solitary bees to survive. Once the larvae hatch they head on up the stem of a nearby flower, lie in wait for an unsuspecting bee, hitch a ride back to their burrow and then feed on their eggs. Not too nice for the bees but necessary to keep the Oil Beetle alive. To find out more about these fascinating little beasties check out Buglife’s Oil Beetle campaign (https://www.buglife.org.uk/campaigns-and-our-work/oil-beetles) and get involved in the Oil Beetle Hunt (https://www.buglife.org.uk/oil-beetle-survey) . We think this is a great way to discover more about our micro wildlife this spring. If you are looking for more ideas to help you make the most of the warmer weather and longer days then check out our 10 Ways to Play Outdoors this Spring. However you choose to enjoy this spring we would love to hear about it. Drop us an email at sales@adventuretogs.co.uk or share your pictures on our facebook page and help inspire others to play outdoors this spring. We have a lovely mixed bunch for you on the Roundup this month with posts about searching for the first signs of spring to fun with crates. We hope you enjoy! One of the lovely things about late winter is that some of our first flowers start to appear as spring takes hold and gets ready to take over. Wild about here shared a lovely post about spotting colourful flowers at this time of year including a fabulous spotter sheet that is well worth printing out and taking along on your walks with you. Everybody knows kids love a cardboard box but who knew about crates? Wonderful fellow outdoor play party co-host Learning for Life shared a great post about the amazing diversity of crates in children’s play. So if you can get hold of any for your garden or your school it certainly seems like they will be well worth the very small investment involved. Lastly we loved these grass caterpillars shared by Red Ted Art. They are so very cute and so easy to make. The perfect way to get your kids into gardening. Over on facebook we discovered a fabulous new Forest Schools Kindergarten based in Sheffield. The will be running The Dangerous Adventure Club over the Easter which sounds like so much fun! We would love to see more of these across the country. Please do share your posts with us here at Adventure Togs and tell us how you have been playing outdoors this fortnight. It's a bit of inspiration and information for outdoor play & outdoor learning professionals. Importantly, most of the content comes from people at the front line of outdoor learning (you can find out how to contribute to the calendar here). It can be used as a tool to plan outdoor activities around events and national / international celebrations. You can find the calendar (here).